Doreen Virtue has recently published Angel Numbers 101.
another dream I was given a "card" with a letter and a double digit number which was a "master card"
I have been looking for Healing with the angels for some time and have not been able to locate it. For months I have been seeing 5:55, I knew it meant change yet knew there was another part of the message. Yesterday I said to a freind, do you know what 5 means? and today I recieved the answer. What really made me smile was when I was reading Shaun's comment to this post, I saw the e-mail address contained 555. Got it Angels!! Thank You for this message. Blessings to you. ps ..what if ...there were groups of people that were getting 111,s others getting 222,s 333,s etc. Well, I didn't win the Pick 3 with my 333's BUT--just this morning my housemate bought me a scratch-off ticket. This is HILARIOUS! The winning number shown is 4. Then there were 4 four's that won me $25.00. That's a total of 5 fours (5 also points to the 5th Dimension that we are adjusting to). But the lower line of numbers is 444!! I love it! And I'm getting whole-body chills from my angels (that's how they often communicate with me) right now! ever heard the song " hooked on a feeling ?" I so love the angels and how they use the numbers to communicate. Congratulations to you!!!! I just ordered the book "angel numbers 101". I cannot wait to get it. For the last 6 months or so I constantly see the number 613 ALWAYS on clocks (time) and more recently with paperwork, receipts, etc. I definitely know someone is trying to tell me something. I've been thinking about buying that book too! I so loved this except! Thank you Doreen and the angels! I so like thinking they talking to us through numbers! I started a job roughly a year ago. This job came with a 45 minute commute. During this past year, I thought it seemed weird at first, but I started seeing sequences of three digit numbers. I had heard a long time ago that numbers were a form of spiritual communication, but I brushed it off. After seeing them and feeling a strong pull when i do see them, I am more than beyond curious. So, I grabbed my laptop today, and initially forgot what I was going to look up- and something said, numerology and angles. I plugged it in and found this website on google. I am astonished! I get these alot. I see all of them at various times. 444, 333, 888, 222, 111, and it goes on ...... ALOT. When I see them I check my thoughts. I think, what am I thnking about right now. Is there something there I shoud know. Iam happy to have found this today, as I have been alone with this for sometime. Can anyone teach me more, and explain why is it so strong. So prevelent everyday!!.... ANd, I mean EVERYDAY. The numbers sightings were and are very interesting to me. A few years ago I started seeing the numbers 111, 222, 333, 444, 555, 666, 777, 888, 999 etc on various objects and then also moved onto 911, 611, 211 and others numbers of the same. Being aware the numbers meant something, but unable to find solid information to help me. And I would always asks my Angels out loud, "help me find the information and please make it clear to me". I believe as the human race moves foward we will all start to notice these messages as our spiritual side awakens and strengthens. Thanks again! I seem to see numbers everywhere..I'm also noticing numbers on license plate's, and reciepts. I know my angels communicate with me & I enjoy it very much. hi there i always dream with numbers 4,7,8,3,1,2 and i have no idea the meaning . do you kown what it means. I keep seeing the number 811. Can you tell me what this means? In the beginning of 2008 I was seeing 555s everywhere...In May 2008 my husband left his well paying job to start the business,we had zero savings.In August I became ill and I did not get better until end of Nov 2008, my brother got divorced (my sister-in-law is like my own sister),many of my friends lost their homes...In the last 2 months my husband and I have been noticing we were constantly getting 666. When I read the meaning of these numbers I was amazed. It took my husband and I a long time to be more focused on the material world, before we beleived money was bad. Since June 2008 we started a business and have been working HARD to make it. We have been busy, and things are looking up. Along with the 666s I was getting 333s, I realize what their saying, now. So I guess the message is, take it slow and refocus. I was feeling the need for some balance in my life. Being a mother of 3 daughters, and working full time in my home office, I have to trust that everthing will be OK. We have been guided all along. I love this book. I carry it with me for years so that as I receive the messages from my angels when I am out and about in the world, I have the book to interpret the messages. I am so grateful to be blessed with this understanding and love. I love Doreen Virtue's books, and this one especially. I have been receiving the master number messages for several years. First was the master number 555. It would show up constantly. On license plates, receipts, various pieces of mail. The copiers that I work on at my day job. Recently as of last Christmas I am getting additional master numbers 333, 777, 999, 666 and 222. After reading about Angel Numbers I realize that I have been getting incomplete messages since the master number sequences can be longer than three digits. Also pay attention to color in association with the master numbers. Red, Blue, White, Gold, Green, all have specific meaning in the spiritual. Also don't assume that Angels are limited to only the numbers. I always pay attention to the first song that my car radio plays when I start an errand. I was quite worried when I was hearing "Highway to Hell" every time I got in my car. I can not begin to tell you how happy I was when I heard "Stairway to Heaven." PS don't change your radio station or your commute. Change your mind and heart. man, i have strong feelings about this, in that everything about angels trying to send messages through numbers.. is just completely false. this could be taken as..'ooh she's totally insulting everyone here!' but it should be taken as, 'ok..this person does not resonate with anything doreen virtue has written.' and i just needed to leave my feelings here in case anyone else may have been feeling doubtful. I think I would have to agree with prettybottles. I know it can be spiritually ruining to put trust in things like numerology. I definetly drew the line on this page when I saw the word 'divination'. I don't know what to make of this, I do believe in angels and they are all around us, but just to be safe, I'd say ask the Lord if some numbers have meaning, if your eyes are drawn to them, etc. I'm fairly convinced triple numbers have spiritual significance, but it's also important to be aware of what is the Lord's Word, and what isn't. I don't remember where, but I'm pretty sure I remember somewhere in the Bible it saying something about not seeking the aid and/or guidance of palm readers, fortune tellers, and practitioners of magic, but I don't remember about divination, or if there's any mention of numerology. My boyfriends mother just past yesterday at 2:20am which was also my daughter's birthday 02-04-10 and when my boyfriend called me to tell me the sad news, after that, I kept coming across the numbers 220, in the store one lady was playing the numbers 202, i kept seeing telephone numbers 202..etc...I would like to know what does the number 220 signify by the way I decided to play the number since it was what I saw all day long. I'm not sure that these interpretations are exactly accurate, although I do have many experiences of triple or even quadruple digits. Having compared various definitions, they don't seem to hold up with life experience in any particular way, but it makes for interesting reading. While I don't think I specifically see "angel numbers", well possibly I do but I don't really tune in at the time. However, what I have started seeing recently are symbols, which I see when I meditate or when I'm just sitting and they appear before my eyes. I asked a friend who's a prophet/healer who interestingly informed me that they're actually Biblical symbols that I'm seeing and can be found in the book, Keys of Enoch. He believes that the Archangels are sending me messages that way. Hi..I keep seeing 7 & 17 ....sometimes all day everyday, especially when I am at home on the weekends. The first time I saw the #17, I was meditating to allow financial abundance in my life. The only thing I got from the meditation was the #17 appearing in my vision. Since then I've been getting 7 & 17 like crazy. Unable to find any clear explanation for 17 anywhere. Someone suggested to me it could also mean 8. Can anyone offer some insight? I've been searching on the web for the meaning of these number - 22 22 44 22, and found your website. Firstable, I would like to thank you for providing so much information, the website is very easy to navigate. I've been going through a lot of changes in my personal and professional life, and I have been asking my angels to talk to me, to not leaving me alone. So, two days ago I had a very clearly dream an these numbers were on it. They were given to me by a tall man, the numbers were kind of embossed in a white servillete, especially number 44. I have read the information you've posted, however I was wondering if could help me a bit more. Many, many thanks in advace. I just looked at my website visitors count number which was 9,000 exactly. And I goggled angel numbers and found you Thanks, I didn't have to run and get my angel numbers book. 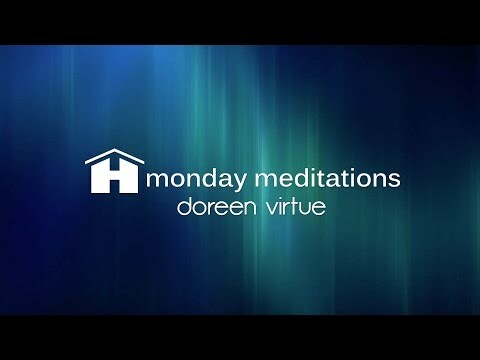 Thank you, Doreen, for being such a good messenger - and thank you, angels! I must be honest: I don't believe in angels. But the experiences you describe may relate to my own story. If you have the time and are interested, you may want to see what you can make of it. It is a true story, and is in progress now. It's taking me somewhere and I am trying to figure out the source and destination. I'm honestly open to suggestions.